The spirit of Cambuci, a working-class Sao Paolo neighborhood, is coming to Lisbon and will infect the visitors during the show of the young and prosperous Brazilian artist Finok at the Underdogs Gallery. 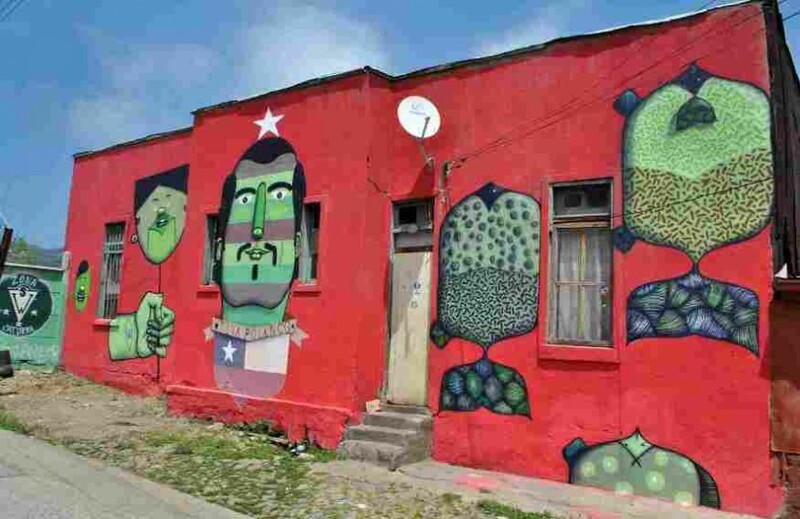 Usually linked with street art, Raphael Sagarra, or simply Finok, grew up in a city considered to be the center of South American graffiti culture. 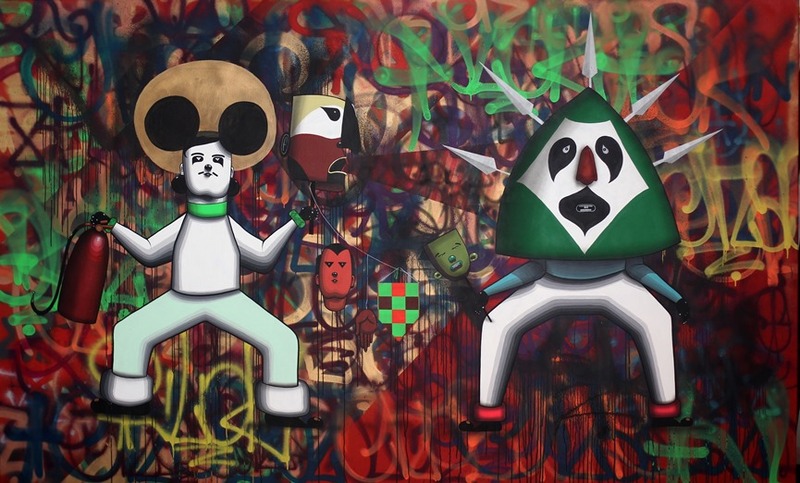 In the streets and alleys of Cambuci, he was influenced by the growing street art culture. 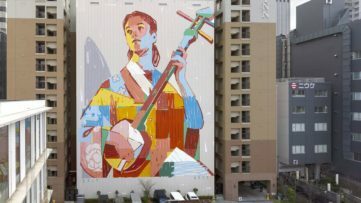 There he made his first artistic steps in 2002, painting on the facades of buildings. By time, Finok went forward and, developing studio practice, emerged as regular exhibitor in well-known galleries, not only in Brazil, but in the United States and Europe as well. However, he never gave up of motifs and techniques of the artistic surrounding in which he had formed his style. Unique mixture of traditions, customs and beliefs characterizes the Brazilian popular culture. 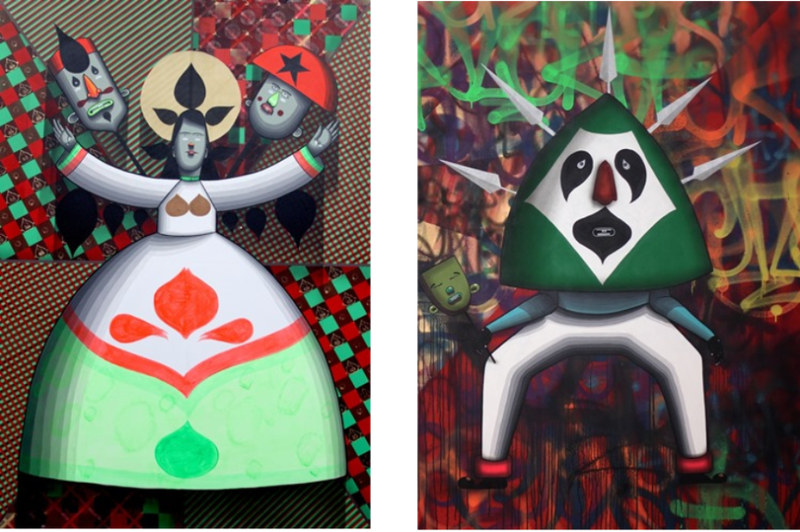 The influence of African voodoo art and the shades of different religions and beliefs shaped the artistic approach of youngsters painting on the walls of big Brazilian cities. 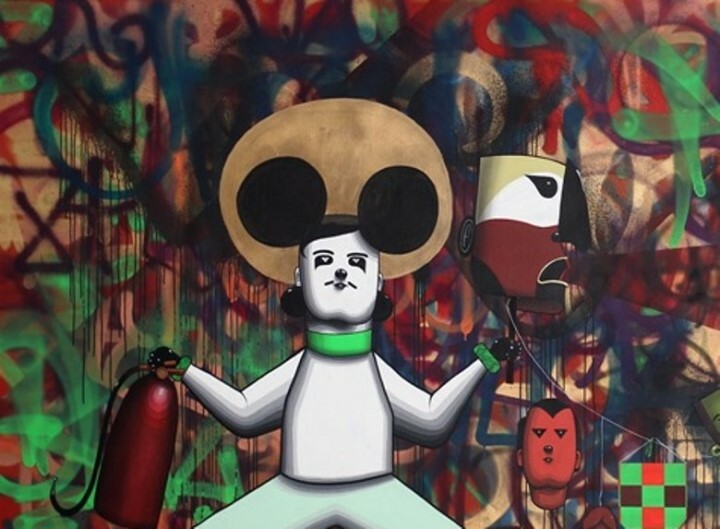 Graffiti artists of Rio, Sao Paolo and Belo Horizonte developed their own works based on perceptions of numerous traditions of the Brazilian society. These artists share the same practices of colorful interpretations of different layers of the popular culture, often sharing some features similar to the caricature. Finok used green as the dominant color, respecting the tradition of Brazilian street artists in choosing a specific color scheme for the street works. Later on, he began to use all colors, with green remaining the most important one. 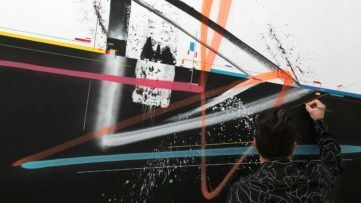 Finok already exhibited in Europe, but this is his first solo show in Portugal. 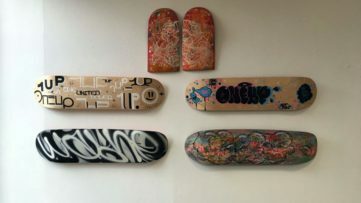 Underdogs Gallery is probably the perfect place for Portuguese art lovers to meet the novelties of Finok’s work, since this gallery profiled as a leading Lisbon-based place for the shows of urban and street art. The gallery is only a part of the wider Underdogs cultural platform, so, parallel with the exhibition, the production of a large-scale intervention in Lisbon is planned, with details yet to be announced. The Finok’s The Burial of the Rooster will be showing at the Underdogs Gallery, Lisbon, from January 30th until February 28th. Sign up for My Widewalls if you like urban and street art, and follow the developments!